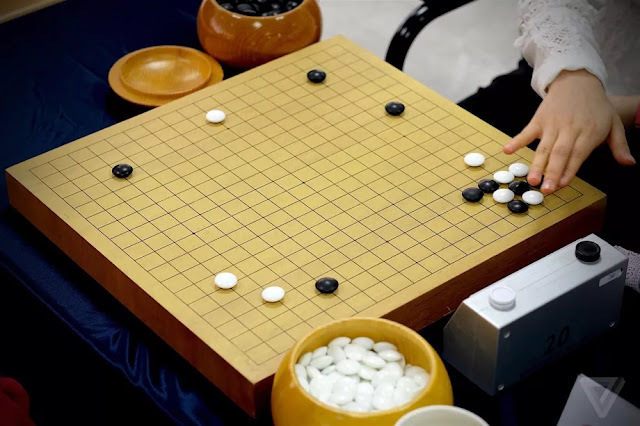 Go players around the world might feel a bit better today, as Artificial Intelligence has also beat the AI-experts responsible for creating the AlphaGo bot that beat the best Go players a few months ago. The nearly flawless victory of AlphaGo was a big deal, but that was a system that was carefully trained by experts and took a considerable amount of time. That's one thing Google DeepMind team has been trying to improve, and it seems they have done it, by letting AI learn by itself. The new AlphaGo Zero is a system that had no human intervention in its learning and training process. It simply started by playing at random against itself and, millions and millions of ames later, became an expert player. How good, you ask? Well, it beat the previous human-trained AlphaGo senseless, by 100-to-0! Rather than make us "run for the hills", this new system just shows that AI can improve upon lots of things, even those done by human experts. This means those experts can better use their time working on the sort of things AI can't do by itself; and it also means that AI may soon become a lot more accessible, letting any regular person define a set of rules, and let it work out the best way to deal with it by itself... no expert knowledge in AI required.